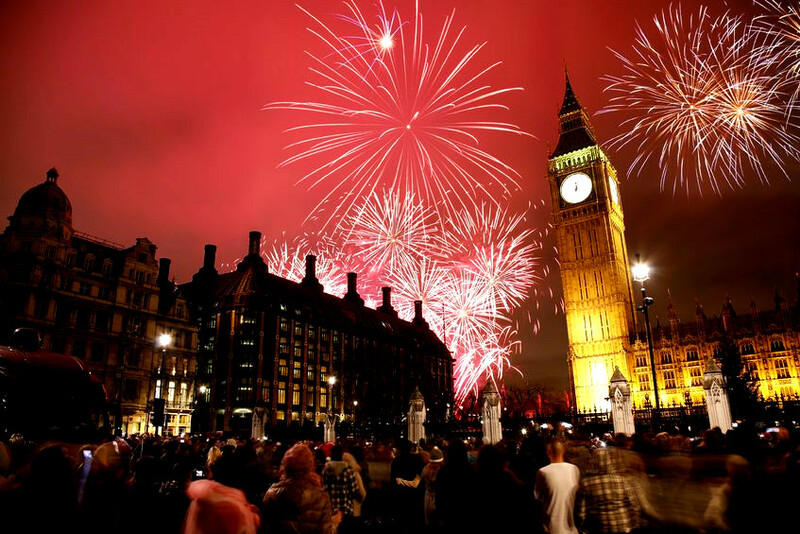 The English custom for welcoming New Year is full of hospitality and warmth. They believe that the first guest for the year would bring fortune for them. He should be a male, should enter through the front door and bear some traditional gifts like loaf for the kitchen, drink for the head of the family and coal to light the fire. They believe that these bring good luck throughout the year. In Denmark, residents keep a pile of dishes, all broken, in front of the door. For this they save old dishes and people usually throw these on the friends’ doors during New Year. This symbolizes friendship and brotherhood and they believe the one with maximum dishes outside, has the most friends. Some Danish are found to leap some chairs during midnight. Brazilians believe that lentils signify wealth and prosperity. So they serve food items made up of the legume like soup or rice on the New Year. On New Year’s Eve, the priestesses dress up in blue and white for an auspicious ceremony celebrated for the water goddess. Also a sacrificial boat filled with jewelry, candles and flowers from the beach of Rio de Janeiro is pushed to the ocean that brings health, wealth and happiness for them. Austrians find good luck charm in Suckling pigs. They serve it on the dinner table with edible pigs and the peppermint ice creams are served as desserts for fortune. Lead is considered to be auspicious here. They pour molten lead into cold water and the shape that is taken after, predicts the future. Heart shapes symbolize marriage whereas round shapes denote good luck; anchor shapes tell that you need help however a cross signifies someone’s sad demise.